Synopsis: When the young daughters of two families go missing after a family get together and police attempts to find the missing girls do not yield rewards. The father of one of the girls goes on an all out mission to find his missing daughter. Review: It’s quite possible that the worst nightmare of any parent would be if your child suddenly goes missing without a trace, and there are no indications as to where they might have gone. This is the exact scenario we have in this film for two distraught families, as their daughters vanish and the families are anxiously waiting to see if their children are all right While the police launch their search for what happened. The film begins sweetly as the two families get together for Thanksgiving dinner. It appears everything is fine , the families are enjoying themselves and having a good time. Then all of a sudden, the young daughters of the respective families are gone. Thus the panic sets in and the hunt for these girls begins, that spans across the duration of the film. Right from the moment the girls have disappeared, the film is a tense and emotional ride as the police hunt begins. The acting in the film was excellent from start to finish. Hugh Jackman was one of the stand out performances. We know he can go mental as his portrayal of Wolverine demonstrates, but here he goes that little bit further. When the Police efforts to find his daughter yield no rewards. He goes on a desperate mission to locate his missing child, and will stop at nothing until he has found her, even if this means he has to break the law, he is a man that will do it, in an attempt to get his child back. His desperation puts him on a collision course with the Detective who’s looking for the children, Detective Loki (Jake Gyllenhaal). His character goes through low points as he seeks to solve this case and the clashes between him and Jackman’s character add to the tense atmosphere that begins to build as soon as the girls have vanished. The other parents played by Maria Bello, Terrence Howard and Viola Davis show the real and raw emotion that any parent would most probably go through if their child vanished. Paul Dano and Melissa Leo were also excellent in their roles and no one gave a bad performance. 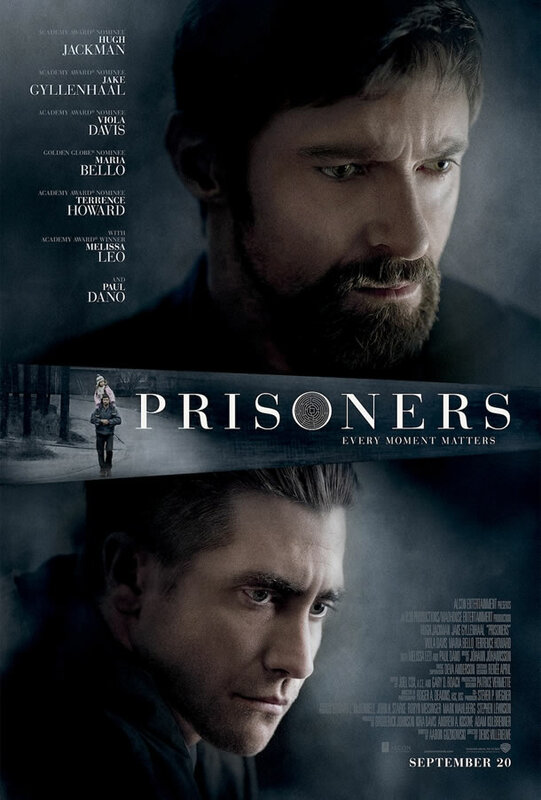 Jackman and Gyllenhaal were the stand out performances and both were unlucky not to land Oscar nominations for their roles. The film is two and a half hours, while that may seem long, the events on screen keep the audience engaged. It is a beautifully shot film, with excellent cinematography from Roger Deakins, and the direction and execution by Denis Villeneuve is also superb, combined with a great musical score. The tension gradually builds and builds with each scene that passes as you wonder if the families will be reunited with their children. As the film’s subject matter is very dark, it may not be a movie that has a high level of re-watch-ability. However it is still a brilliantly shot film with great characters and a fascinating plot that will keep you interested throughout the hundred and fifty minute running time. two great performances from Hugh & Jake, I was really gripped throughout.